From the brink of extinction, condors are recovering right here in Southern California's back yard. The recovery of the California condor is truly one of the most interesting stories in the history of species extinction or not, one that continues to teach and inform, and leads us to examine both the short and long-term human legacy, and the way we effect the web of life, of which we are but a strand. removed or modified 38.5 miles of barbed wire fence, opening wildlife corridors to give large game animals, on which condors depend, the freedom to roam. At one time the California Condor flew over most of North America, on nine-foot wingspans capable of carrying them more than a hundred miles in a day in search of carrion, scanning the sky and the ground below for the sight of other scavengers, and the possible meal. 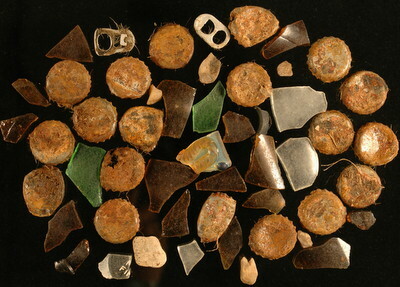 With the arrival of Europeans to North America, lands were divided with railroads and barbed wire, and roaming herds of the historic past fell into sharp decline. In their collision with civilization, the population of the largest of North American land birds fell in number until the mid-1980’s, when people began to take notice, and started working to protect this disappearing species. The last purely wild condor was captured in 1987 in a cooperative effort of US Fish and Wildlife, California Fish and Wildlife, the San Diego and Los Angeles Zoos. The first re-releases of condors into the wild began in 1992 on sites within the Los Padres National Forest. From a mere 22 remaining birds, more than 250 California Condors now inhabit the mountains of Southern and Central California, Arizona and Baja California. About 150 are in zoos and captive breeding facilities. It is estimated that a condor may live to be 75 years old. Given the opportunity, they may mate with their partners for life, producing a potential nest every one or two years. Mated condors fly as pairs except when sharing incubation and brooding of young. Devoted parents, they are known to fend off bears and mountain lions from their nest sites, and care for their young for up to two years. Young birds mimic the behavior of their parents and other older birds, learning from them flight, foraging and survival. California Condors are obligate scavengers, almost exclusively feeding on dead mammals. Feeding of young nestlings happens through regurgitation of foraged food, as in most bird species. A need for calcium sources for growing chicks may prompt condors to eat small-mammal carrion whose bones are more easily consumed than the large bones of cattle, deer, elk and other ungulates. Nest sites have been extensively studied, and found to contain bones and mollusc shells, probably as a source for calcium. 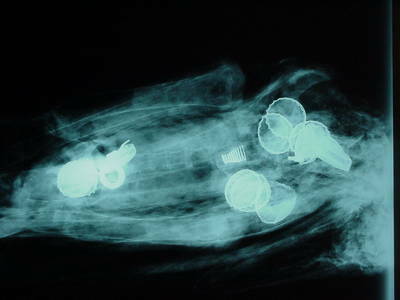 Metal, plastic, and glass fragments in nests, likely mistaken for bone fragments, are often found. From 1992 until 2005, re-released condors were unsuccessful in nesting in the wild. Though these birds are exceptional parents, newly-hatched chicks were dying in the nest from lead poisoning, and crop impaction. Adult birds scavenge large animal carcasses, frequently tainted with particles from lead bullets. They roost on mountain tops, roadside pullouts and communication tower sites that are often areas of concentrated use, where people litter and leave behind other sources of lethal trash and contaminants. The decline of the condor is due to many factors, but it's clear that many of them are human caused, and in combination with unique condor behavior and biology, often prove to be fatal. The problem of microtrash and lead are particularly frustrating because much of the debris that are cause for condor mortality, and impact many other species of wildlife, are by-products of activites that are important to people. Industry, agriculture, communications and recreation, leave behind waste that would not be tolerated in our own backyards, and cause real damage in wildlife populations and habitat quality. You are invited to join Habitat Works Volunteers in our efforts to support the preservation and recovery of the California Condor. Our projects focus on clearing microtrash and lead from the land on old recreational shooting sites, roadside parking (party) areas, radio tower locations and burned-over mountain peaks where condors are known to roost and forage. 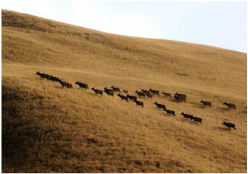 We also focus on opening wildlife corridors which allow large game animals such as Tule elk, deer and pronghorns the freedom to roam in condor habitat. The recovery of the California Condor is directly linked to the survival and restoration of diverse and stable wildlife populations. Our volunteers adventure and camp out in some of the most wild and biologically diverse places that Southern California has to offer, while improving on-the-ground conditions for all wildlife species. Habitat Works collects microtrash ongoing. Sign up on our e-list to get project updates.